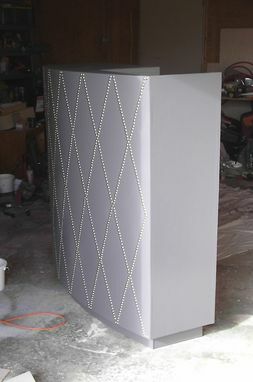 This project is a cash wrap for the Cynthia Robert's Boutique on Newbury Street in Boston. It features a curved front that is ornamented with 1/2" round fabric nails to reflect the studs in various items sold at the Boutique. 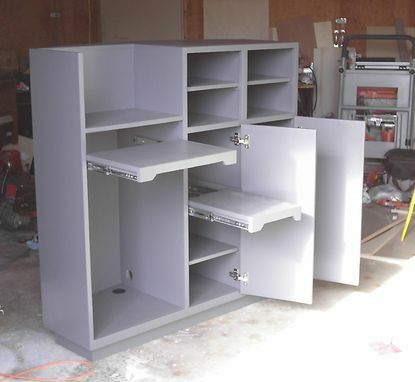 The unit serves as both cash-out, sales counter and wrapping of sold items. 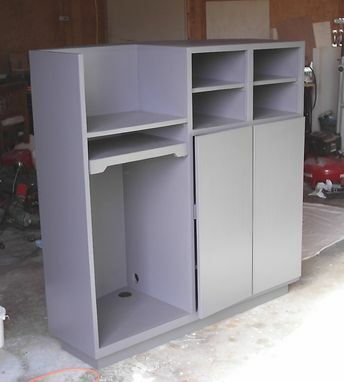 It is free standing with doors hiding pullout slides for a printer, a credit card terminal and other sales necessities.